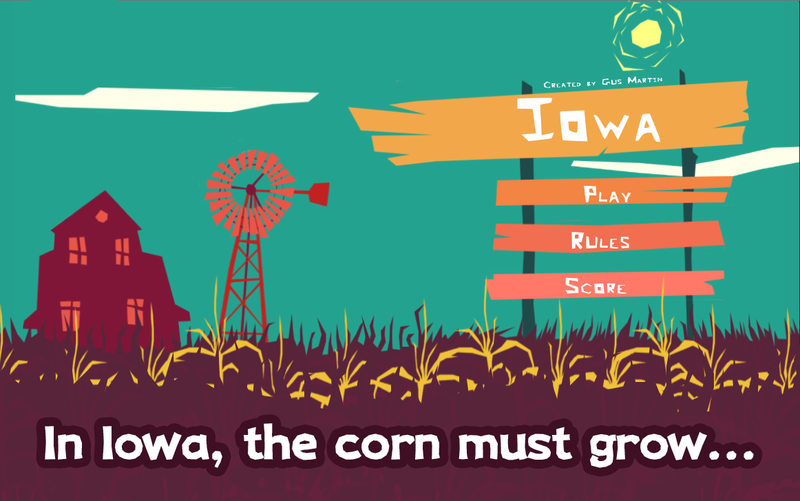 Iowa for Android is a digital board game where players are put in the roles of corn farmers in the plains of Iowa. 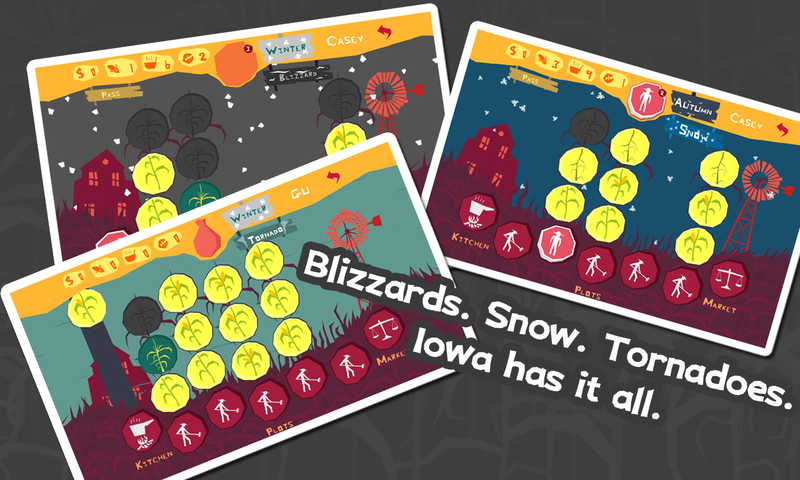 From Sioux City to Des Moines, players will fight the elements and the seasons in order to survive and thrive in this board game of survival farming.Players take turns placing their far... see more Iowa for Android is a digital board game where players are put in the roles of corn farmers in the plains of Iowa. From Sioux City to Des Moines, players will fight the elements and the seasons in order to survive and thrive in this board game of survival farming. 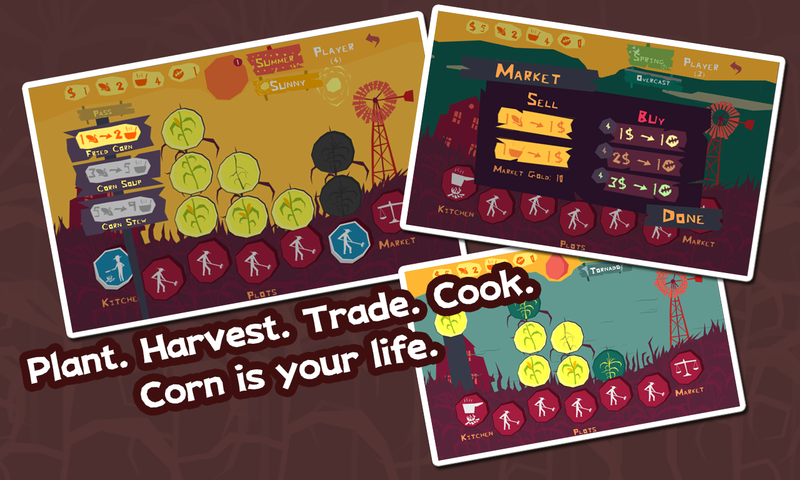 Players take turns placing their farmers to plant, grow, harvest, cook and trade all kinds of corn in order to create a successful farm and survive a full year until the end of the winter. But you must take good care of your farmhands, or they will abandon you! • FARM AGAINST YOUR FRIENDS! Play against up to 3 friends on the same device using Pass n’ Play. No board or extra devices required! Prove to them you have what it takes to farm corn in Iowa! • FARM AGAINST THE WORLD! Iowa uses Google Play Games to let you play asynchronous matches against farmers all over the world! Play the solo mode by yourself or against up to 3 AI opponents. A battle of corn to show that organic farmers are the best farmers! No board to set up, no tokens to keep track of. Just start the app, and get to the farm. Winter is coming soon, and the corn isn’t going to grow itself! Do something difficult or cool, get an achievement. Be rewarded for being the best farmer in the plains of Iowa. And also for being the worst! In Iowa, nature does not nurture. Fight off Blizzards, Snow, Hail, Droughts and even Tornadoes in the process of creating the best corn farm in Iowa. Got a suggestion for improvement or feature request, or found something we have to fix? Please contact us at [email protected]!